Sign Up for My CFA Newsletter! In this newsletter, you'll get the latest exam info, tips for passing the exam, and exclusive discounts on CFA exam prep! CFA or CPA: Which Qualification is Better? 2018 CFA Exam Fees Breakdown: Is the Title Worth the Cost? Best CFA Level 1 Books 2019: CFAI Curriculum, Schweser or Wiley? Germany is one of the popular homes for CFAs, ranking 8 in the world in terms of number of newly awarded charters in recent years. Let’s see how many charterholders there are in this country, the career path they have taken, and how you can become a CFA yourself in Germany. Germany has experienced a generally upward trend in the number of new CFAs except for the years of financial crisis. 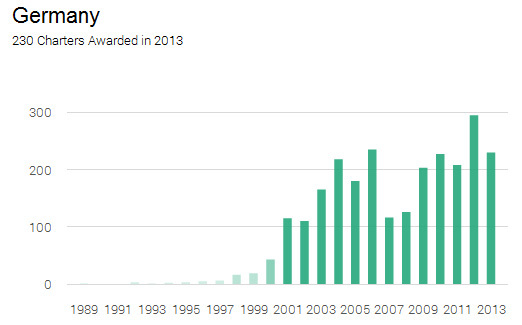 Slightly more than 200 professionals become CFA in Germany every year. 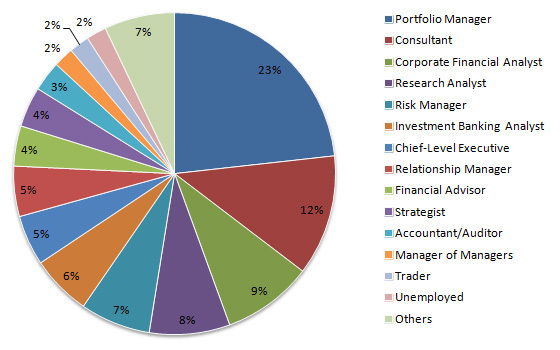 The most popular professions among the CFA in Germany is portfolio management. The trend is similar to the US and on a global scale. It is interesting to see how consultants represent more than 10% of all German CFA charterholders. At the same time, the research analyst representation is smaller in comparison, possibly due to the fact the investment banks’ regional offices in Germany are generally small and coverage is country-specific. CFA Institute features a successful CFA in Germany and her interesting story. One of the most valuable benefits of earning the CFA charter for Dr. Kerstin Dodel, CFA, was finding a job that allowed her to creatively balance her personal life with work. The process of becoming a CFA is the same in all countries. There are three levels of the exam and you need to take them in sequence. After passing, you’ll need to fulfill the experience requirement with 4 years of relevant experience on a full-time basis. The eligibility is simple enough: all you need is either a bachelor degree or 4 years of experience. The exam, however, is notoriously hard with a passing rate around 40%. 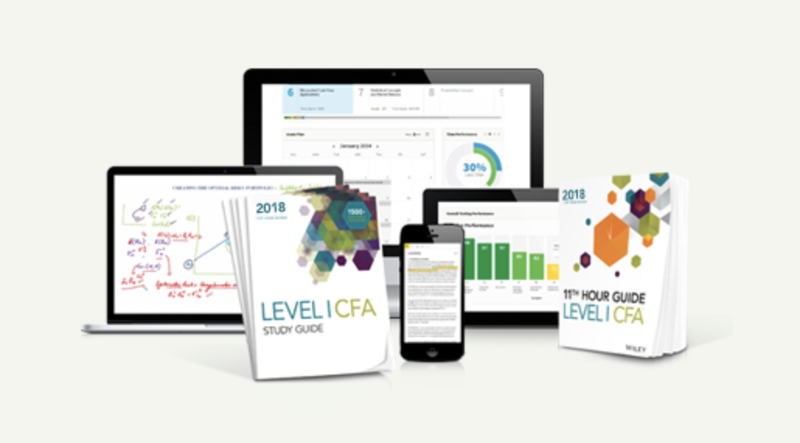 CFA Institute recommends candidates to spend at least 250 hours to prepare for each level of the exam. Candidates can take the exam in Frankfurt and Munich in June 2014, but only in Frankfurt in December. If you are a German candidate residing outside of your home country, check out other CFA exam locations here. You are free to choose a testing center anywhere in the world. 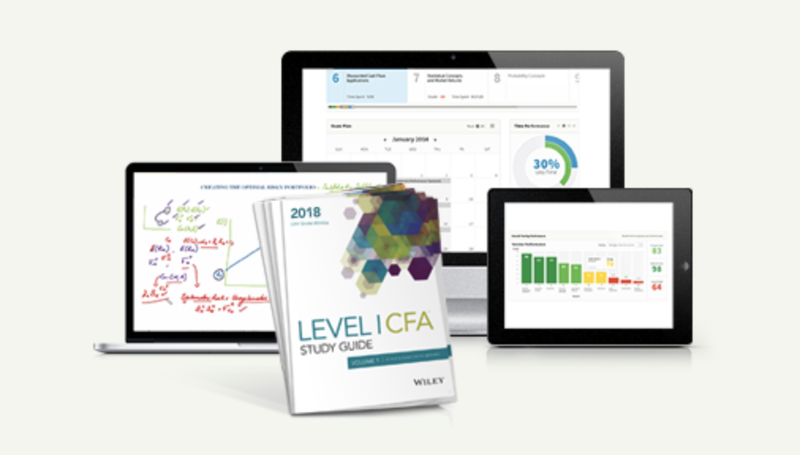 Save 30% on Wiley CFA!